What is the Ignition Interlock Remedial Measures Program? 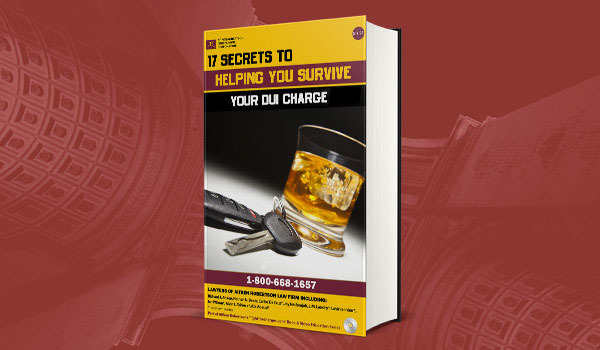 Besides the fines and driver’s licence suspensions to which you would be subject if caught driving impaired or with a blood alcohol concentration above either the legal limit (“over 80”) or over the administrative limit (“over 50”), there are even more DUI consequences in Ontario of which you should be aware. The additional punishments are meant to improve an offender’s future driving behaviour. The law in Ontario provides for two levels of offences based on Blood Alcohol Level (BAC).The “warn range” is BAC in the range of 0.05 and 0.08 mg/ml. The “prohibited range” indicates that BAC is above 0.08 mg/ml and will produce more serious financial and legal consequences. Having a BAC in the prohibited range is a criminal offence and if convicted, will leave you with a criminal record. Similarly, if you are convicted of “impaired” driving, regardless of your BAC, you will have a criminal record. An ignition interlock device is used to ascertain the presence of alcohol in the driver’s body and to prevent a motor vehicle from being started if the BAC in the driver’s body exceeds zero. Mandatory interlock device installation is an additional punishment under the Highway Traffic Act (HTA) for drivers convicted of impaired driving or convicted of driving with a BAC “over 80” (BAC: >0.08), as defined under the Criminal Code, or found to be driving within the warning range, which means having a BAC of “over 50” “but under 80” (BAC: 0.05 to 0.08) as defined under the HTA. In Ontario, there are programs for alcohol or drug involved convictions under the HTA, designed to improve an offender’s behaviour and accountability. If a police officer finds, upon taking a breath sample from you that you were driving with a BAC “over 50,” you will have your driver’s licence suspended immediately at roadside and will face an administrative monetary penalty of $150. If it is not your first such offence, you will also be required to participate in some or all of a conduct review program. In Ontario, the conduct review programs consist of a remedial measures program (Back on Track) and an ignition interlock device program. (Ignition Interlock Program). Criminally convicted drivers must complete all three components of the Back on Track program before the licence suspension expires and satisfy all other requirements set by the court in order to have their licence reinstated. Convicted impaired drivers should register immediately upon conviction as the program can take up to 11 months to complete. If you were suspended for having a BAC “over 50” (between 0.05 and 0.08) and this is your second such offence, you are required to complete the Education Program (8 hours). If this is your third such offence you must complete the Treatment Program (16 hours). Beyond three such offences, you will also be subject to a mandatory medical evaluation. Drivers will have 120 days from the start of the suspension period to complete the education course and 180 days to complete the treatment course. If you are convicted of a drinking and driving offence under the Criminal Code, or if it is your third or more time in a five-year period being suspended for having a BAC between 0.05 and 0.08, you will be subject to Ontario’s Ignition Interlock Program. After serving the provincial sanctions, including licence suspension, fine and a mandatory remedial measures program (Back on Track), all drivers convicted of drinking and driving Criminal Code offences, who are eligible to have their driver’s licence reinstated, will have an ignition interlock condition placed on their Ontario driver’s licence. First-time offenders will have an ignition interlock condition on their licence for a minimum of one year. Second-time offenders will have the condition for a minimum of three years. Third-time offenders will have the condition on their licence indefinitely if it is reinstated after a minimum 10-year suspension. The program does not apply to fourth-time offenders because their licence will never be reinstated. Drivers who are suspended for registering a BAC between 0.05 and 0.08, three or more times in a five-year period between each offence, will have an ignition interlock condition placed on their licence for six months after serving their 30-day licence suspension. Before successfully entering this program, eligible drivers must pay all outstanding fees and all other active suspensions must have expired or been removed. First-time offenders who are not eligible for or who choose not to participate in the program will be subject to the standard penalties under the Highway Traffic Act: for the first conviction, one year suspension without reduction, plus one year of having the interlock condition on their driver’s licence. Drivers who are eligible for the program will receive an individualized information package from the Ministry of Transportation with information on how to meet the requirements for entry into the program in one of the two streams. The package will include the application instructions, will identify the mandatory periods of suspension and interlock installation, and provide timelines that must be met to enter the program.